Motel or lodge or home stay accommodation. 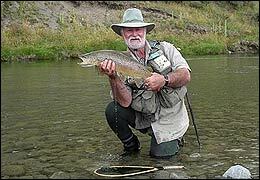 Fishing guides in any other area. Rental car, FWD or Camper van. Saltwater Big Game fishing, for Marlin, Tuna etc. Jet-boating, Bungee-jumping and white water rafting. Or any other activities that you may wish to enquire about. Prices will vary according to the type and number and variety of services you require.